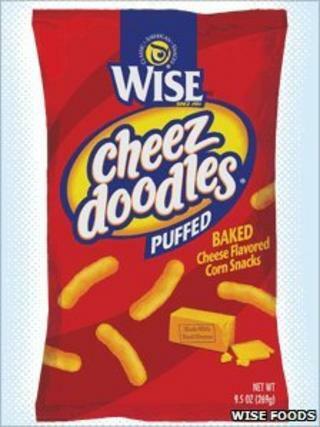 The inventor of the crunchy, orange cheese puff snack known in the US as Cheez Doodles has died. Morrie Yohai, who was 90 years old, invented the snack in the 1950s when he ran a food processing company in the Bronx district of New York. Using a corn meal processing machine and a high-speed blade, he produced small tubes which could then be flavoured with orange cheddar cheese. The resulting snack left a distinctive orange mark on the fingers. Cheez Doodles became one of the most popular snacks in a country which has made a point of eating between mealtimes, the BBC's James Reynolds reports. While Yohai took pride in his invention, it did not dominate his life. His family says he was more interested in pursuing Jewish mysticism and writing poetry. Yohai died of cancer on 27 July at his Long Island home in Kings Point, his son Robbie said this week.